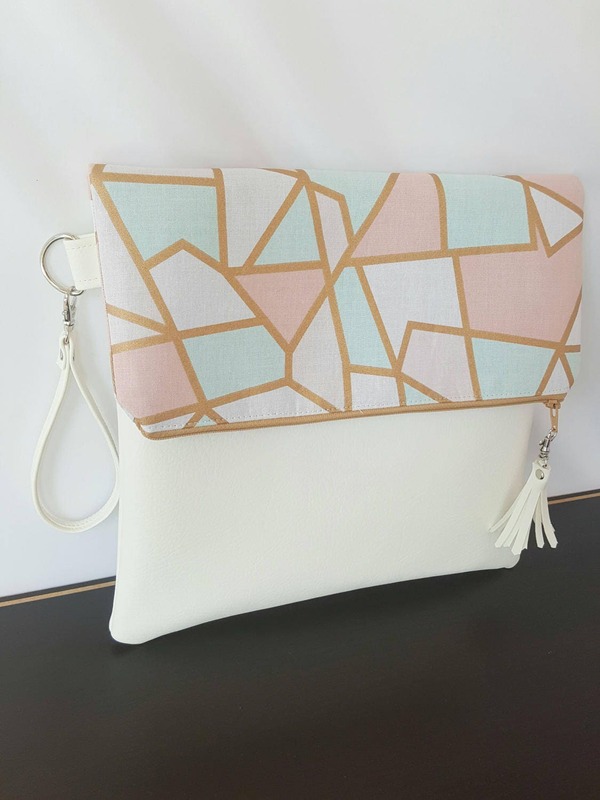 This is a pink, teal, gold, pastel geometric print with Brown Faux Leather clutch. 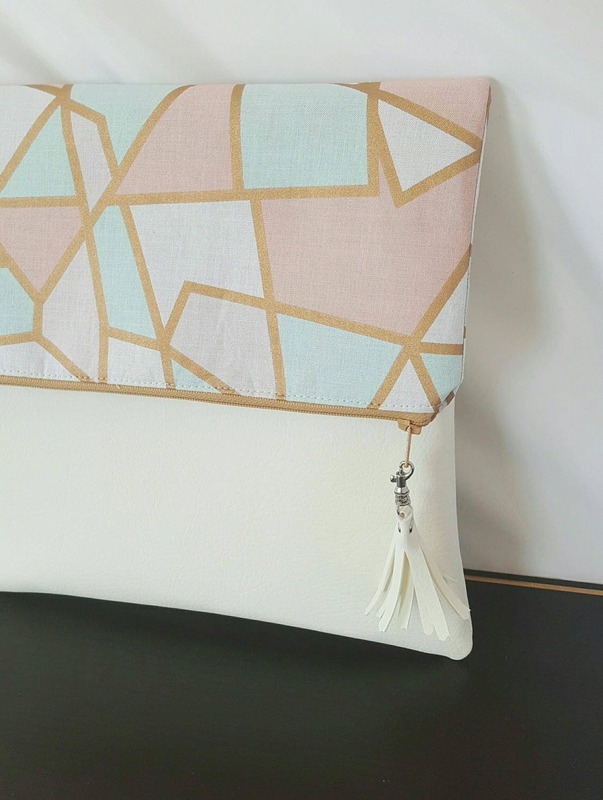 This clutch is both stylish and functional. 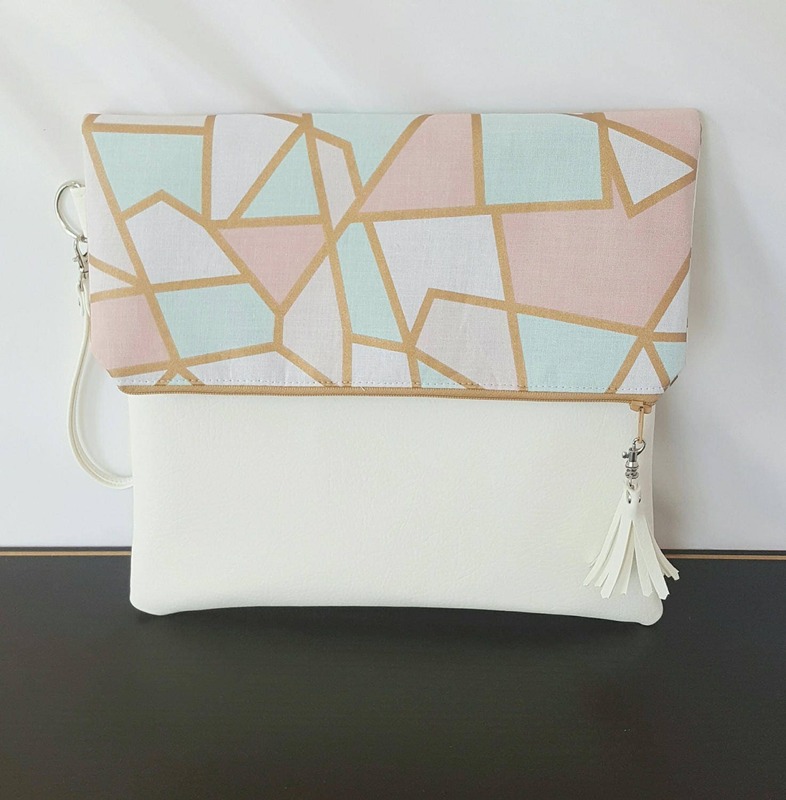 All Clutch bags come with a beautifully lined inside and 3 roomy pockets. 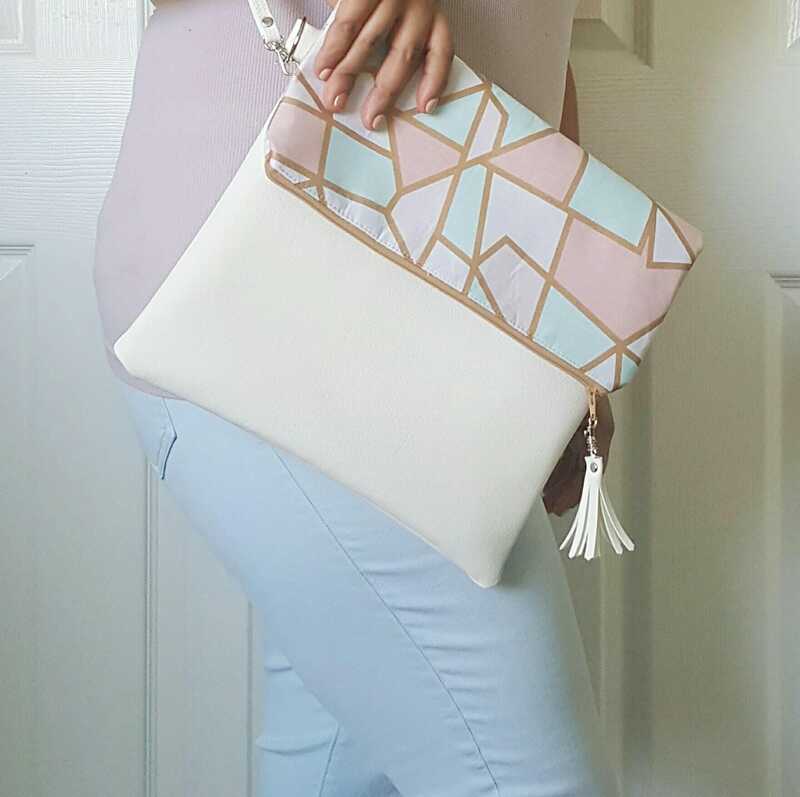 This bag can be paired with jeans and blouse and/or cute dress. 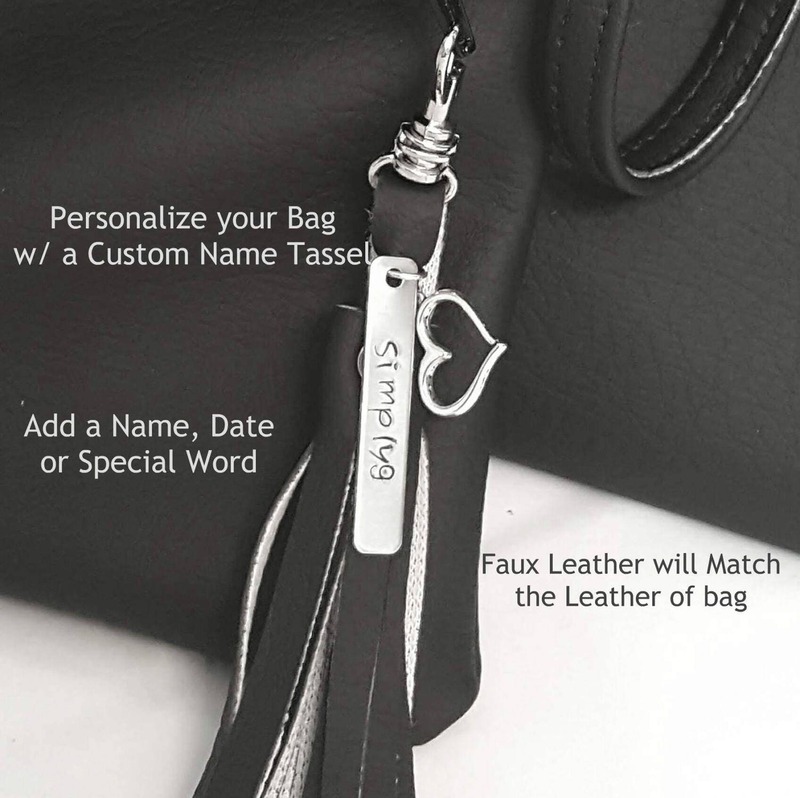 You can easily take it from day to night!